Competitive DanceSport returns to the Kent Commons in January! Events for amateurs of all ages, skill levels and styles. 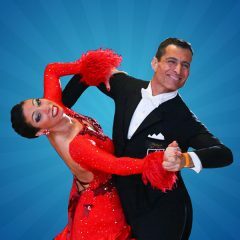 The evening is prime time for spectators with performances from a large number of formation teams, highest skill level dancers and all adult events. The daytime session is very lively with wide participation of age 6-21 competitors. Congratulations to Gokturk and Asli Yurtyapan! Their star continues to rise Nationally and Internationally! 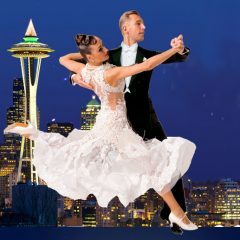 Seattle chapter members Gokturk and Asli Yurtyapan have returned victorious from the April 2018 USA Dance National Championships, adding more notches on their impressive competition belts.